Quietfire Creations: Keeping it Straight - In Summer! Ever have trouble getting your A Way With Words diecuts straight? It's Suzanne here with a little weekend project sharing a technique to help you out! It could save you a lot of aggravation! Here is a little video so you can see it in action. The tutorial is only a minute long because that's the longest that Instagram will allow! The video below is full width and can be viewed here or on YouTube. I love using Glue Dots. It gives me the flexibility to remove the diecut if I don't quite get it right! The soapstone pencil which was not necessary for this project can be found on the Quietfire site HERE. Have any questions? Just ask in the comments! 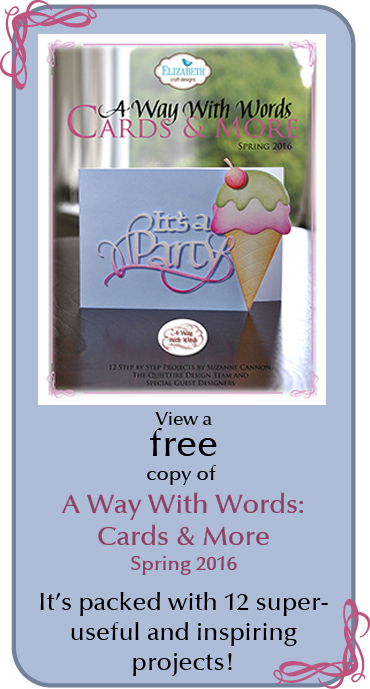 Form a 6.5 x 5 inch tent-fold card base from purple cardstock. Die cut Summer from the same cardstock. Cut three nesting panels of patterned paper from the Stitched Rectangles as shown. Stamp the sentiment at the bottom of the smallest panel. 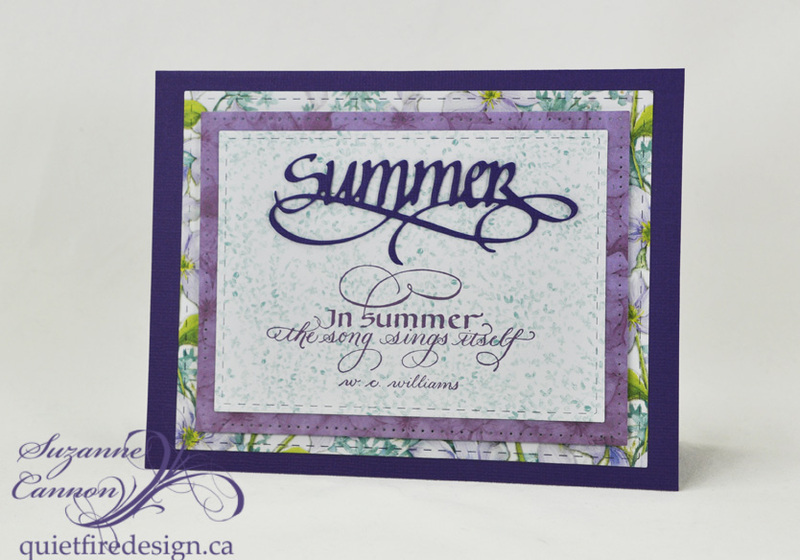 Follow the demonstration in the video for placing your Summer diecut using Glue Dots to adhere the diecut. Assemble the card using foam tape as shown. I've never heard of the soapstone pencil... very cool!